Chinese real estate developer Zhenro Properties Group Ltd. plans to raise up to HK$4.08 billion ($522 million) from an initial public offering (IPO) in Hong Kong, amid tightening domestic rules on financing for the sector. The company will use the proceeds to fund property construction and repay debt, it said in a prospectus filed with the Hong Kong stock exchange on Thursday. Zhenro aims to sell a total of one billion stocks, or 25% of its enlarged issued share capital, at HK$3.40-HK$4.08 per share ahead of its Hong Kong debut scheduled for Jan. 16. Another 150 million shares will be offered if the over-allotment option is fully exercised. The company plans to funnel about 60% of the cash raised into the construction of three projects in East China’s Nanjing and the Central China cities of Wuhan and Nanchang. Around 30% of the proceeds will be used to repay some of its bank loans and other borrowings, with the remaining 10% to be spent on general working capital purposes, it said in the prospectus. 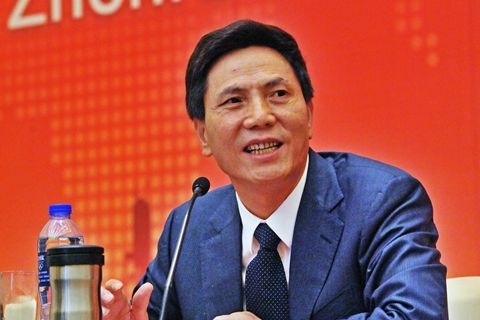 Controlled by Chinese billionaire Ou Zongrong, Zhenro wholly or partly owns 81 property projects in 17 Chinese cities. 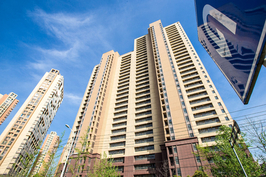 It had about 0.31% of China’s real estate market share in terms of contracted sales last year, according to the China Index Academy, a property information provider. Ou ranked 93th on the Hurun China Rich List 2017, which was released in October, with his wealth estimated at $4 billion. Zhenro is known for its credit-fueled aggressive expansion, with its debt-to-equity ratio at 278.1% at the end of June, up from 206% just 6 months ago. The ratio was even higher at 326.2% at the end of 2015. Meanwhile, its net profit declined to 376.6 million yuan ($57.5 million) in the first six months of this year from 559.2 million yuan in the same period in 2016, the prospectus showed. China’s property developers are facing increasing difficulties in raising money in the country as domestic regulators step up efforts to crack down on shadow banking activities, which developers have been relying on as a major source of funding. The China Banking Regulatory Commission in a document released last week reiterated that funds collected by bank-trust products must not be invested in real estate, local government financing vehicles, the stock market, or industries with excessive capacity. Zhenro in the prospectus also listed financing hardship as one of the risk factors it faces. “We may not be able to obtain sufficient funding for our land acquisitions and future property developments whether through bank loans, corporate bonds, asset-backed securities programs, trust financing or other arrangements, on commercially reasonable terms, or at all,” it said. Other uncertainties include changes in China’s policy governing the property market and the company’s ability to acquire land in “desirable locations” at reasonable prices, it added.